Condition: Surplus tanks. Undamaged according to the seller. Please see photos. 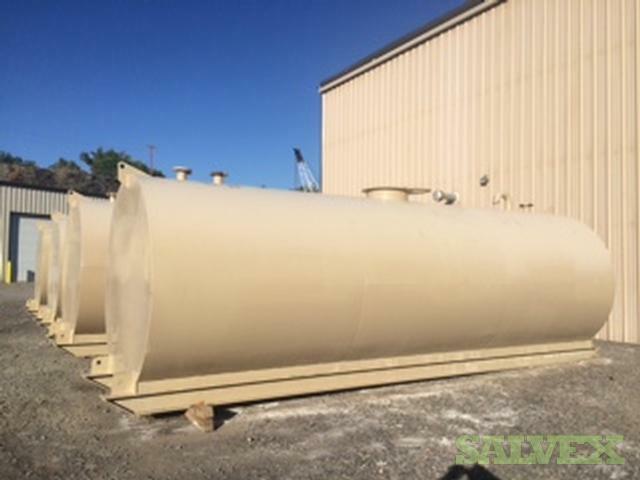 The owner is selling these tanks because they were fabricated for a customer for a large project, however the customer ran out of funding and they are attempting to recover some of their losses. Seller has the right to reject all bids. Buyer responsible for any loading and/or handling fees. Buyer must verify quality before removing unit from the location. These steel tanks were fabricated for a customer for a large project that ran out of funding. The owner would like to sell these to recover some of the losses. Vented with man hole and skid mounted.